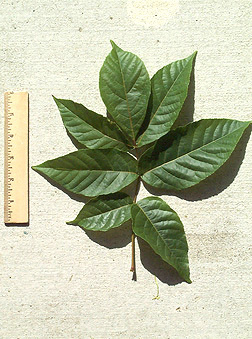 Leaf:Alternate, pinnately compound, to 12 inches overall, with 3-7 ovate to narrowly elliptical leaflets per leaf; leaflets on short stalk, each to 5 inches long with serrate margins, shiny dark green above and pale pubescent below; turning yellow in the fall. 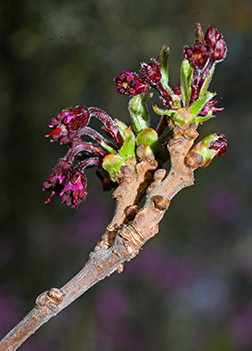 Flower:Bright pink and fragrant, with 5 petals, borne in small clusters; appearing just before or with the leaves. 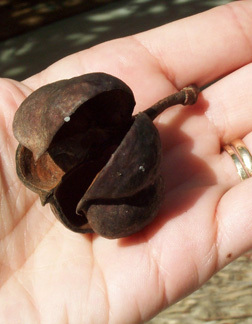 Fruit:A distinctive 3-lobed 1 1/2 inch red-brown woody capsule containing 1-3 shiny dark brown leathery seeds; capsule often persisting on the tree; similar to a buckeye. 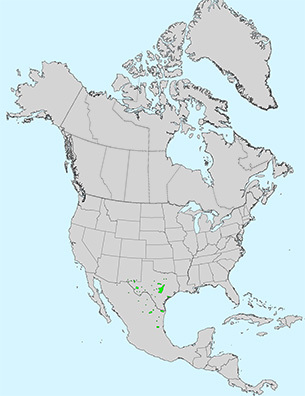 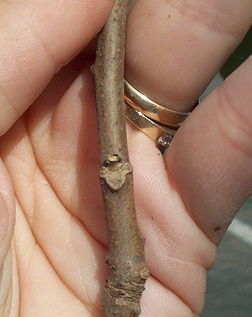 Twig:Stout, orange-brown to gray-brown, pubescent, covered in reddish lenticels; leaf scars broad and 3-lobed; buds are dome-shaped. 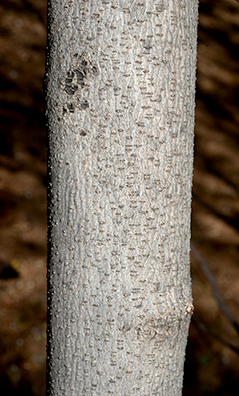 Bark:Young bark is gray-brown and covered with warty lenticels, becoming shallowly fissured. 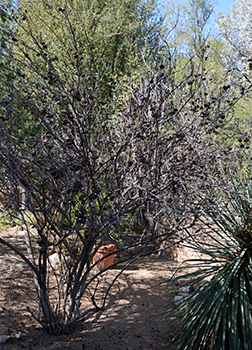 Form:A large shrub or small tree to 30 feet tall with a spreading crown.